Today’s Wonder of the Day was inspired by Lily. Lily Wonders, “Why are they called polka dots?” Thanks for WONDERing with us, Lily! 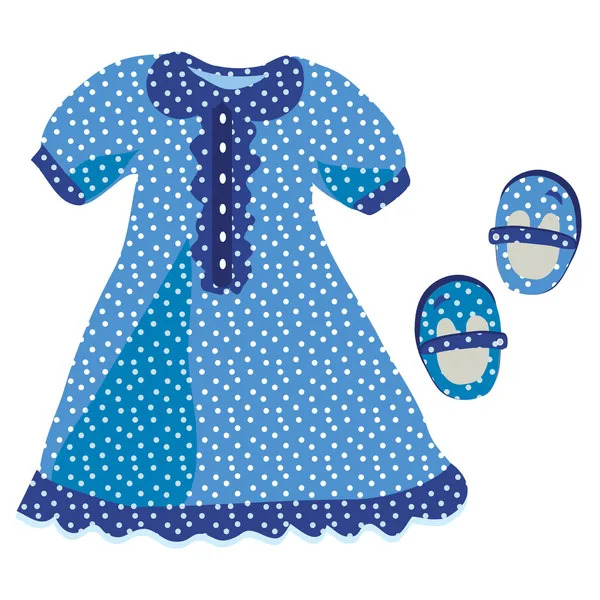 If you've ever shopped for children's clothing, toys, or furniture, you're most likely very familiar with polka dots. Polka dot is a pattern created by filling a space with dots that are usually evenly sized and spaced closely together. Fashion experts believe polka dots first became a popular pattern on clothing in the late 1800s in England. References to the term “polka dot" can be found as early as 1871 in Godey's Magazine. Polka dots got their name from the dance of the same name. Although they're not directly connected to the dance in any way, the polka dance was very popular at the time the pattern became fashionable on clothing. At the time, there were many other “polka" products, from polka hats to polka jackets. Most of these items disappeared when the polka dance fad faded away. The polka-dot pattern, however, has remained popular over the years and has kept its name. The polka is a fun and lively dance — and a specific type of dance music often featuring the accordion — popular throughout Europe and North America. It began in the mid-1800s in central Europe in the area that is now the Czech Republic. The polka dance got its name from the Czech word půlka, which means “little half." This is a reference to the short half steps that make up the basic steps of the dance. Many people mistakenly believe that polka dancing started in Poland, because the dance's name is spelled the same as the Czech and Polish word Polka, which means “Polish woman or girl." Some historians believe polka dancing and music were first created by Anna Slezakova in 1834. She lived in an area called "Bohemia," which is now the Czech Republic. Her dance and music, created to accompany a local folk song, began a dance craze that spread across Europe and even to America within a decade. Polka remained a popular dance until the early 1900s, when new forms of music — like ragtime jazz — became the new craze. Polka has never gone away, though. Polka dances are still held weekly all over the United States in areas with large populations of people with Central European heritage. Tomorrow’s Wonder of the Day just might teach your parents a thing or two! Get your dancing shoes on and find a partner. It's time to learn a few new dance steps. First, you'll need some polka music. Check your parents' music collection or look for a polka CD at your local library. If you can't find any polka music, you can always click here to listen to polka music samples online. Learning how to polka dance is fun! The best way to get the hang of it is to watch polka dancing in action. Click here to learn your first polka dance steps. When you've mastered those basic steps, click here to watch a variety of videos that illustrate more advanced polka dance steps. If you've already mastered the polka or just feel like being creative, you can also create your own fabulous polka dot fashion designs. Make your own Polka Dot Crafts with polka dot pizzazz! Dear wonderopolis Monday was my b-day and today is my dad's wedding. Hi I love this website!!!!!! Dear Wonderopolis, Am I the first one today? What are you doing? My dad's wedding is in May and my b-day is in May and my dad's b-day is in May and cousin's b-day is in May. We do have a lot of snow and it was fun going sledding with my dad. Dear wonderopolis, I went sledding with my daddy he is nice to me. I love your website so so so so so much. Do you answer Ms. Uppnea's class? Because I'm in her class. Wow! I didn't know that you could answer my question so clear!!!! Where is this but cool!! This wonder rocks! The ladies in the dance actually had polka dots on their dresses. I love polka dots, they're so cute. I've always thought that they were for kids, but no way!!!!!!!!!!!!! The pattern created by filling a space with dots that are usually evenly-sized and spaced closely together is called what? Polka music and dancing got its start in the area that is now what? Some historians believe polka dancing and music were first created by whom?